Not all of us are physically able to go on long hikes or get out and explore our mountains like we once could. This is how I cope and still get my dose of nature. Getting outside and enjoying nature doesn't just mean going on hikes, backpacking, climbing, etc. As some of us age, it's not as easy to do those things, as much as we want to (and enjoyed them previously). 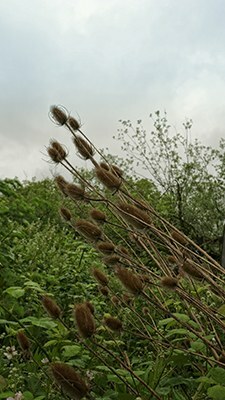 For me, it can be something as simple as walking through a park while photographing what I see and identifying plants, birds (by sound), and animals. You see, I have severly arthritic knees due to sports injuries when I was younger. I basically don't have any meniscus on the ends of my leg bones and need total knee replacements. I have always loved being outdoors in the mountains and forests. I grew up in Pennsylvania and lived in a tiny town with no form of entertainment other than what we created. My brothers and I were always hiking through the woods on a summer day and I would often collect various plants and mosses to make a terrarium in leftover jars. When I got older and had children, I would take them on hikes through the woods and mountains, depending on where I was stationed (in the Air Force). In Germany, I would take them on 10k Volksmarches (organized hikes). In Arkansas, we would hike to the top of Pinnacle Mountain, scrambling near the top, and eat a sack lunch while enjoying the view. We hiked just about every trail at Zion National Park. Being outdoors was in my blood! So, having really bad knees is one of the worst things to happen to me. Seeing photos from people who have hiked trails in the Paradise area or the Enchantments, for example, makes me long to be there with them. But, I refuse to give up and try to find enjoyment in other outdoor places. Recently, I lead a group of about 10 on a trip up north to Sedro Wooley to explore the Northern State Recreation Area. 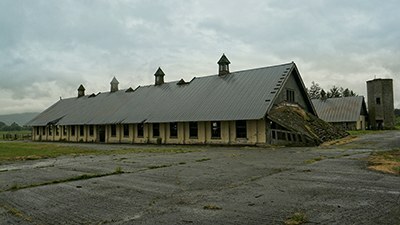 This park is situated on a portion of the formal Northern State Mental Hospital (which closed in 1973), specifically the old farm land and buildings that supported the hospital. The skies were gray with clouds and there was a fairly steady sprinkle of rain when I arrived. But, as I exited the parking area, the first thing that caught my attention were the Nootka roses along the trail. Also present were wild blackberries. 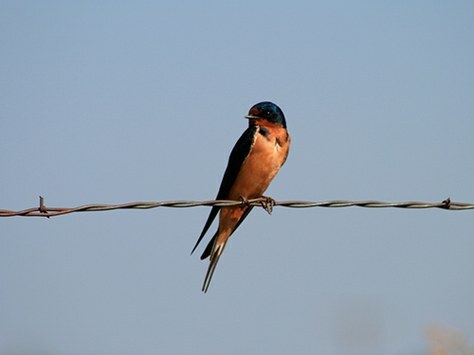 As I continued on the trail that lead to the farm buildings, I observed many swifts searching for insects and heard many robins calling for their mates. I was able to identify these things thanks to the Introduction to the Natural World class I took a few years ago (Naturalists Committee). There were around a dozen abandonded farm buildings to explore and there wasn't a lack of photographic opportunities. Seeing a caved in roof or old milking stalls, it was easy for me to imagine what it looked like during its heyday. We spent over two hours exploring the area before it got too wet to continue. As I drove home, I thought to myself, I may not have been up on a mountain, but I got some exercise, I got to see, hear and smell nature, and I wasn't sitting inside at my computer! If you are somebody who likes to get outside (and likes to take photos), but hesitate because of physical limitations, you're not alone... consider joining me on one of my photography trips. You can see the schedule of upcoming Photography Trips here. Note: The majority of the photography trips that I lead have minimal walking.